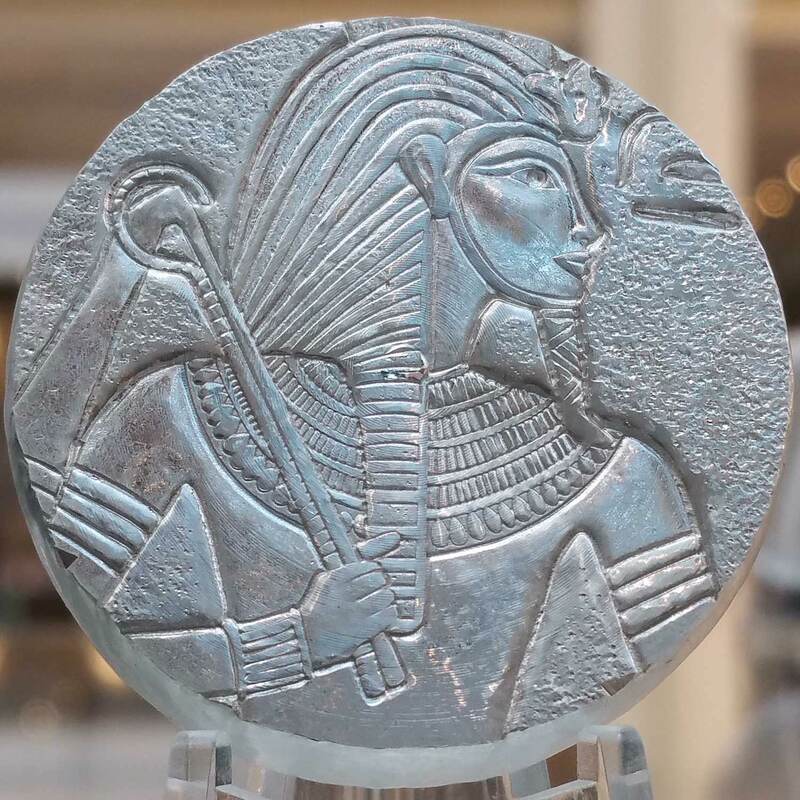 A favourite subject for numismatics here, and from what we understand, in a huge number of other places, Ancient Egypt is full of more symbolism, iconology and history than almost every other ancient culture that’s ever existed. Their habit of building and leaving their mark in huge stone constructions and intimate tombs has resulted in them earning a place in popular culture. That reached fever pitch around a century ago when British archaeologist Howard Carter and his team discovered the undisturbed tomb of a minor pharoah, Tutankhamun. 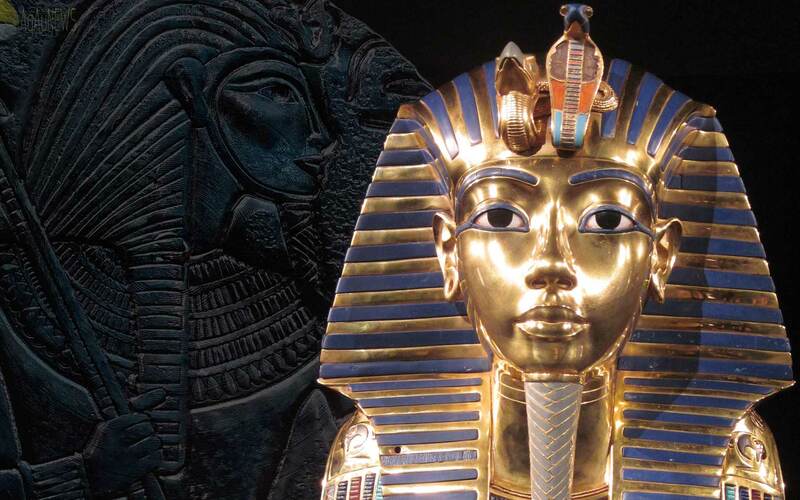 Full of fascinating objects, the centrepiece was the stunning golden funerary mask, without doubt the most recognisable ancient object in the world today. Tutankhamun, while not one of the major pharoah’s, certainly came from parents that were. Now virtually confirmed as the son of Akhenaten and his sister/wife (yes, both…), Tutankhamun’s major contribution to Egyptian history was to undo the actions of his famous father. His father Akhenaten, had tried to wipe away the old gods and just worship the sun-god, even building a new capital city to break away from the old traditions. Tutankhamun ruled from circa 1332-1323 BC in what we call the Eighteenth Dynasty, taking the throne name Nebkheperure. He was just nine years old when he took the throne and just eighteen when he died, living with physical disability through his life. It’s possible he died from a leg injury compounded by malaria that prevented healing. The famous mask was repurposed; initially being made for Nefertiti, the ruler that preceded him. Scottsdale have long had a presence in the silver bullion market with some highly distinctive ranges like the Stackers and the Tombstone Nuggets. 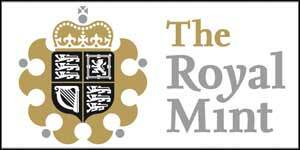 Last year the started to produce some pure numismatics, initially starting with the unambitious Godfather set, but rapidly moving on to some seriously impressive coins. 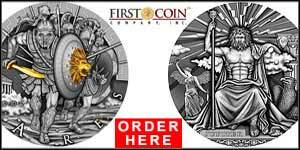 They’re responsible for the excellent Biblical Series of 2oz antiqued-silver coins, a hugely ambitious series to encompass a ten year release period and one for which we’ve just produced a profile. The equally excellent 15-coin “Vikings: Gods, Kings, and Warriors” are also from Scottsdale and we also took photos of those in Berlin. 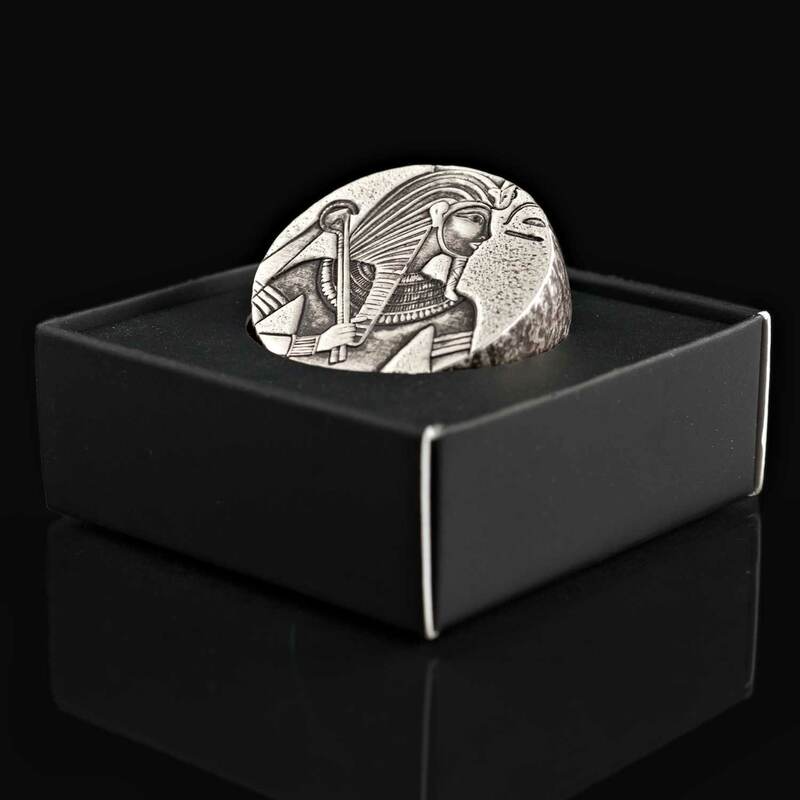 This new coin is the first of five in a series called Egyptian Relic Series. 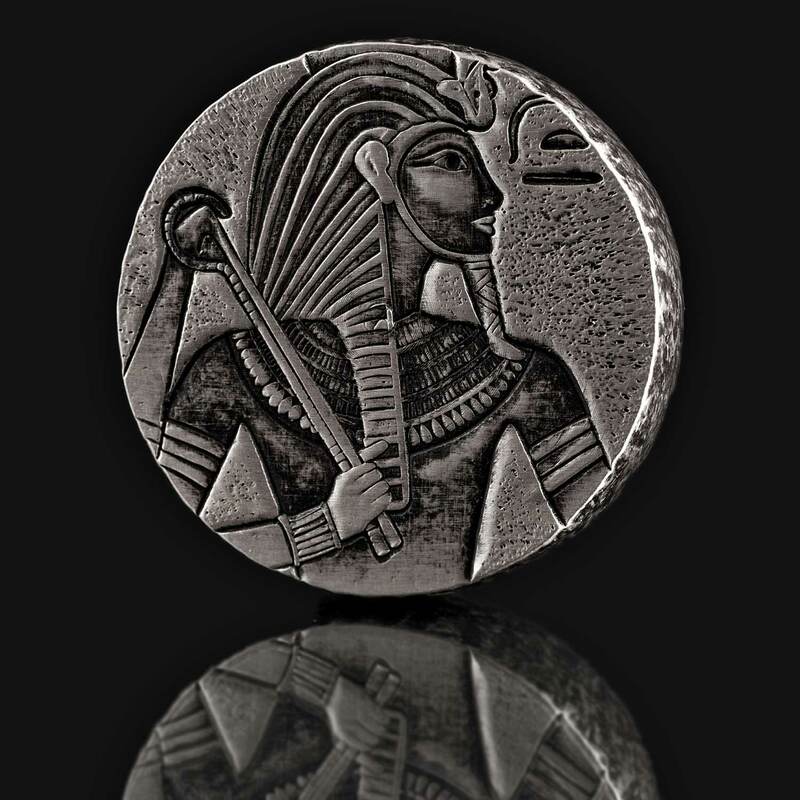 The debut coin is called King Tut and shows a representation of the famous pharoah from actual hieroglyphics of the period. A great idea, and one that is considerably enhanced by the rest of the design decisions made. At five ounces in weight, it’s clearly going to be a chunky beast, so Scottsdales’s designers have taken advantage of that by using the thickness to suggest the whole thing is a stone artifact. The edge has been struck to look like the coin has been chiselled from limestone. The coin has then been antiqued to suggest age, a common feature of ancient-themed coins for good reason. 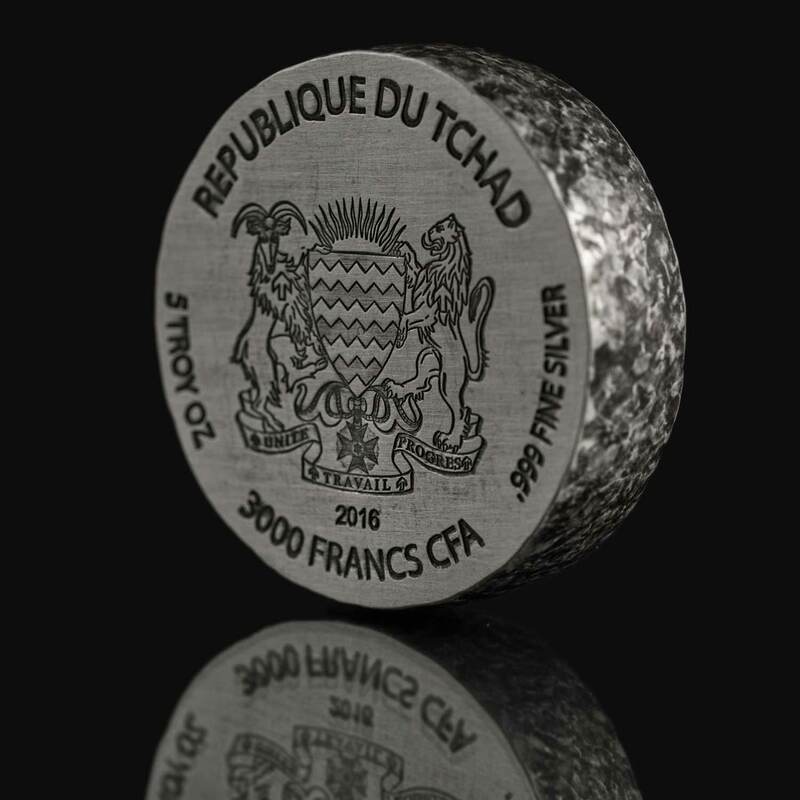 The coin is issued for the Republic of Chad, an African state, and the emblem looks far more suitable than if it had been issued for Niue and thus carried the Queens effigy. 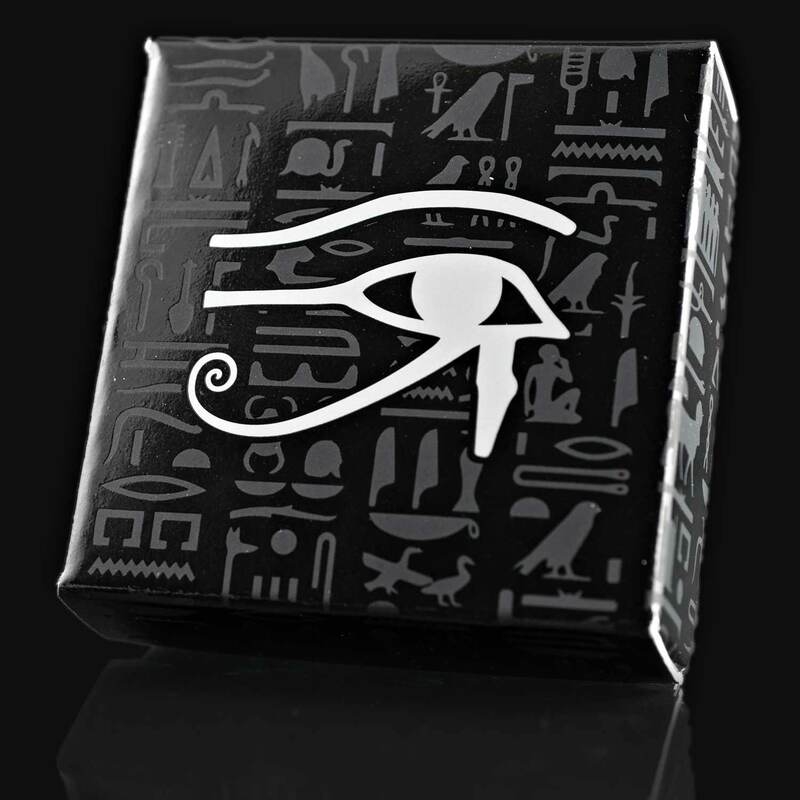 The reverse design is classic Egyptian in style. That side-on look, the attire and objects of status all point to a powerful ruler. Personally, I think the design is bang-on. You can see the prototype images we took in Berlin at the start of the year further below. The brilliant uncirculated finish and smooth edge look great, but the finished product is considerably more atmospheric. Unlike Scottsdales other numismatics, this one doesn’t stray too far from bullion territory, and that brings with it a huge advantage: cost. While a 2oz Viking of Bible coin will retail at $180, this 5oz coin sells at a very low spot+ price, currently under $125.00. Even with the mintage twenty times higher, it doesn’t detract from being able to pick up one of these boxed, antique-finish coins for little more than a generic round of the same weight. If I was in a position to do so, I’d pick some up without doubt. I’m sure a few pure bullion stackers will see it differently, but coming from the numismatic perspective, it’s a great buy. 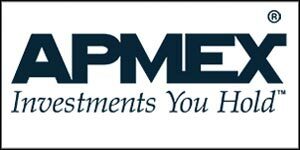 Available now from Scottsdale, JM Bullion, and APMEX, this is a hugely welcome release and we look forward to the next one. 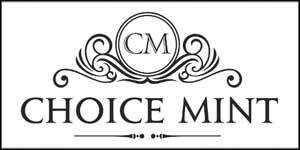 Scottsdale Mint, like Choice Mint, are certainly making their mark on the modern numismatic market. King Tut is the first coin release in the Egyptian Relic Series of the Republic of Chad. 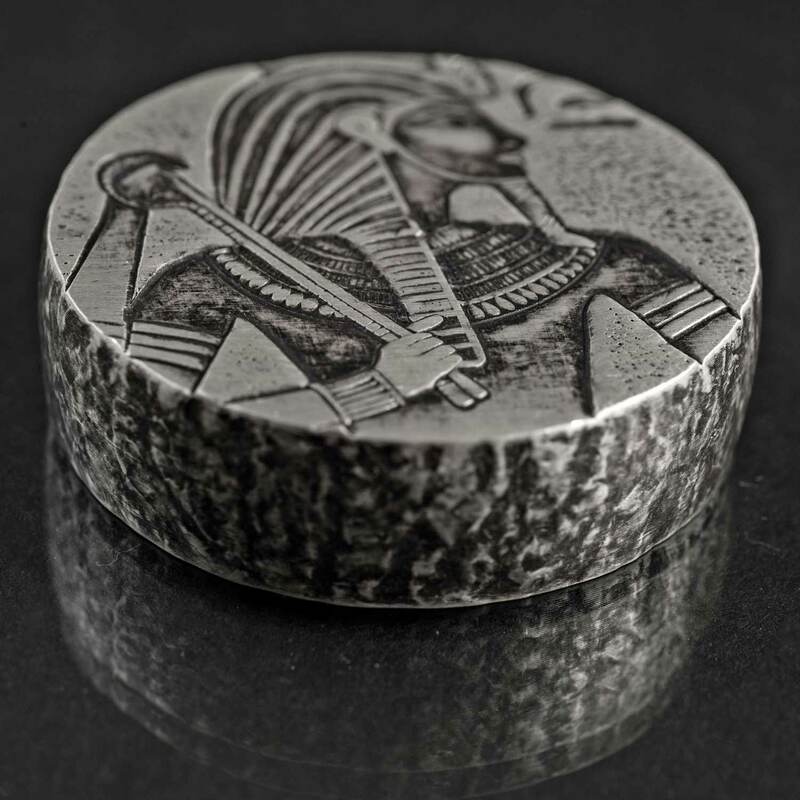 Based off famous hieroglyphs, these coins are designed to feel like the carving came right out of the wall. 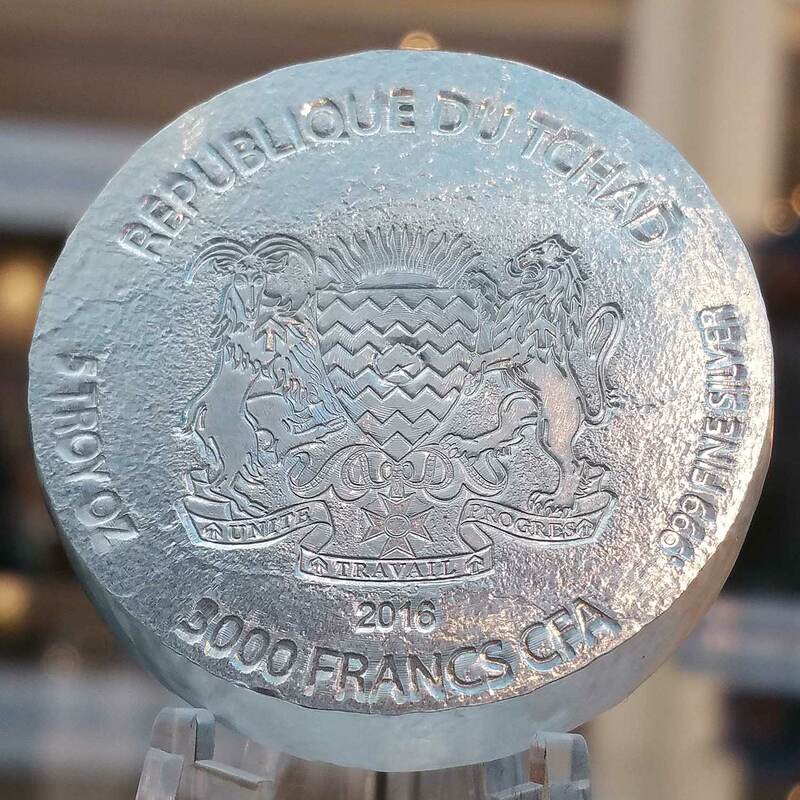 This 2016 ERS 5 oz coin .999 Fine Silver Coin features a chiseled granite looking edge with an hand brushed antique finish. 41mm x 11.8mm dimension gives this coin a special feel. 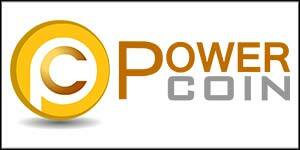 Each coin comes with in a gift box and multiples of 4 arrive in a larger logo box. Max Mintage 30K, so when they are gone they are gone. LOVE! Impressive and looks like I need to hold in my hands soon. I dont appreciate that they changed the weight of the coins, takes away a feeling of continuity. I do know where you’re coming from, that extra thickness gave it the intended look and feel of a chunk of carved granite, right? But in the end i was glad they slimmed it down for affordability reasons, as it was never going to be just an annual issue. The 2oz manages to retain the essence of being a carved disk and staying true to the idea, i feel. And a big version to kick off a series is acceptably more logical at least, than if the first had been 2oz and the second one 5oz. The series has gone quiet, though, silver-wise. Hope to see a new one soon.